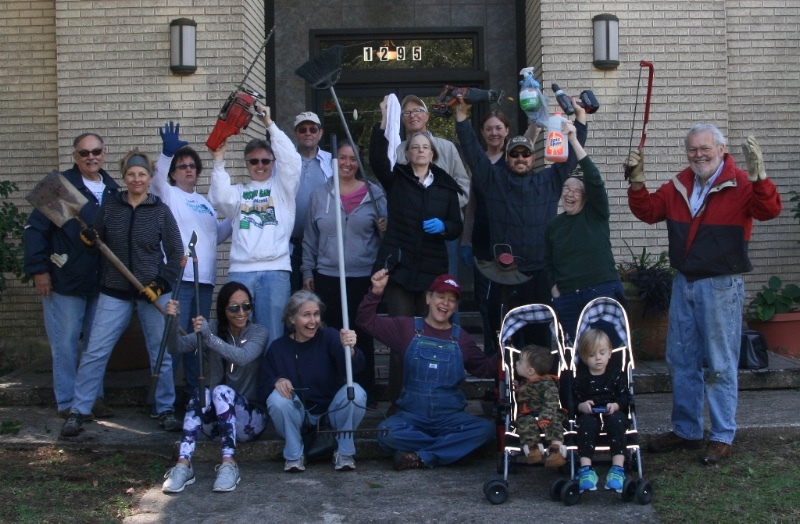 Seventeen UUFEC members and friends arrived early on Nov. 10 for the fall clean-up. This is a record! A very large pile of limbs and branches validated their accomplishments. The obnoxious oleander shrub has been leveled! The helpers were: Gil Brown, John Drury, Sheena Guthrie, Rece Howley, Jan Mullins, Rev. Mansfield, Jane Park, Chris and Paula Previte, Kathy Roniger, Winky Sweet, Bill & Kathy White, Joseph Trambley, Al and Julie Ann Winfree and Fred Boyer. If you missed this event, there will be a spring clean-up in 5 months. Many thanks to all!